This new website is a continued exercise in improvement. I am very pleased to announce that SATAS4.me has its own Forum. This Forum will allow for the exchange of ideas and opinions. I am sure to the betterment of all mankind. So, to all my supporters please feel free to drop by and post on the Forum. Very recently, I had the distinct pleasure of meeting Luke from Treeline Outdoors (treelineoutdoors.ca ). Luke & company, among other things, design & sell rooftop tent units from their warehouse located in Turner Valley, Alberta. I was very pleased to learn a local business was in the rooftop tent business. Until this discovery, I was only aware of rooftop tents from South Africa, Australia, the USA & China. With 3/4's of these being very, very expensive and the other 1/4 being cheap. I am not going to hoodwink you and say the rooftop tents from Treeline Outdoors are cheap or inexpensive. By now, you know I call 'em, as I see 'em. No sugar coating from me. In this case, I say you get what you pay for. Rooftop tents are an investment. If you want your investment to last, you need to get educated, you need to research the options, you need to know what your requirements are (like: seasons, climate, region, # of people, duration, weather conditions & whether you are mounting this permanently or just temporarily), as well as, who is the competition & what do they offer?? Once your needs assessment is done, you have to evaluate which rooftop tent meets your needs (& your vehicle's capability). Then you have to find a dealer/retailer near you to make your purchase/investment. Price is part of this but, so is service after the sale and just the helpfulness & friendliness of the staff. Some of the design considerations to keep in mind, was the tent intended for the Serengeti or The Outback and if it was, will that same tent work well through all four seasons here in Canada?? Maybe?? Maybe not?? Was the rooftop unit designed to shed monsoon rains, will that work well for shedding snow?? If you live in Newfoundland or on the West Coast that design may be helpful...at least during the Summer. Fabric weight & breath-ability....in hot climates you want air movement to stay cool. In cooler climates you want to trap warm air but vent humidity. Thicker, tighter fabrics work better around here if you want/need four season use out of your shelter. When Summer heats up, you want windows with screens/mesh to keep mosquitoes out & allow a cross-breeze to cool occupants. 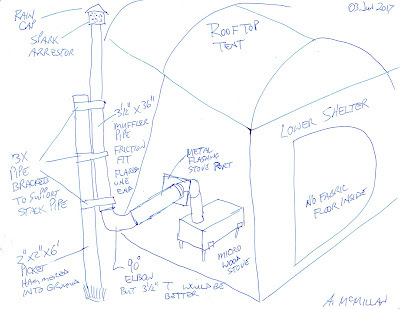 The other feature I would look for would be the shelter surround at the base of the rooftop unit. This one feature, almost doubles the available living space.....And, if you have to live for a prolonged period in your rooftop tent unit, you will certainly be happier with this little foresight. This basement shelter can be used a kitchen, livingroom or a spare bedroom (better with a folding cot). Best part this space is tall enough to stand. The technology that impressed me the most with Treeline's tents were the honeycomb aluminum floor boards. Super light! Super strong! Compared to the industry standard of sandwiching a foam core between two thin aluminum panels, the honeycomb design will not fail you when you need it most, in my humble opinion. Overall rooftop tent weight is not too important, unless you want to mount one on the roof rack of your vehicle. Tents don't care about weight but roof racks sure do!! (To a point your vehicle's fuel economy will also care about excess weight.) So, the honeycomb aluminum shaves off about 50 lbs compared to a similar sized rooftop tent unit from China. 50 lbs is an extra 5 gallon jerry can of water. So, light & strong is good!! With a strong, light floor - this affords Treeline the luxury to use heavier, more durable tent body fabrics without penalty. Durable = Longer life. The stitching quality is a minimum of double stitched. High stress areas a bit more. YKK zippers are used because, they too are durable. Next, let's discuss design features that work for Canadians. First, the metal structure inside the tent is fabric covered. This controls condensation when tenting in cool/cold conditions. Nothing wakes you quicker than ice cold condensation raining down on your face at zero dark thirty. Fortunately, for you Treeline has already solved this for you and you will miss this experience. Interior & exterior lashing points. All Treeline rooftop tent units have a plethora of lashing points for LED lights, solar panels, Bluetooth speakers, gear lofts and pretty much anything else you need to hang up. Speaking of solar power.....Treeline works with Goal Zero (goalzero.com ) to provide solar power options for your next journey. Also, all tent units have cable ports to aid in getting power from your solar panel(s) to your power cells &/or devices. Storage. These rooftop units have multiple storage areas inside the tent and under the overhang. As well as, you can store your sleeping bags, blankets & pillows in the tent when traveling to a new location. The rooftop tent advantage over ground tents. Windows & skylights. These units, from smallest to largest, have plenty of windows. All have zippered covers to control how much nature you share. My only concern are the clear vinyl windows & skylight panes. My discussion with Luke assured me they only use good vinyl, but even that will have a cold crack rating of -40 to -45. Most of you would not tent in those conditions, but it is something to be aware of. For me that would not be a deal breaker. More windows = more light. The basement shelter. 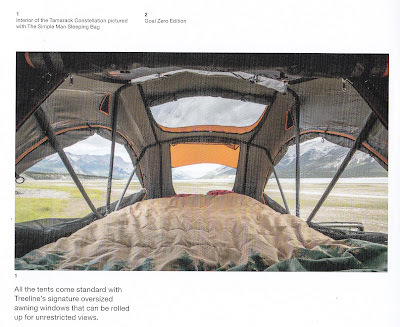 I would not purchase a rooftop tent unit if it did not offer the lower enclosure. In our neck of the woods that added space is not a luxury, it is required. 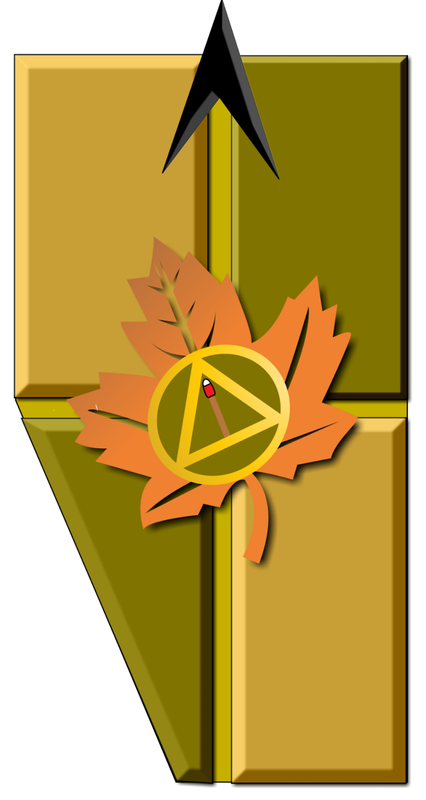 Between my years of camping, time in the army/search&rescue and our Cross-Canada Tour (which included 27+ nights in tents); I can say you will need this space - it is dry & protected from the wind. I learned that Treeline Outdoors provides better pricing when you package more options together at the start. So, buying your lower shelter after the fact will cost you more. Know what you need and plan for it. 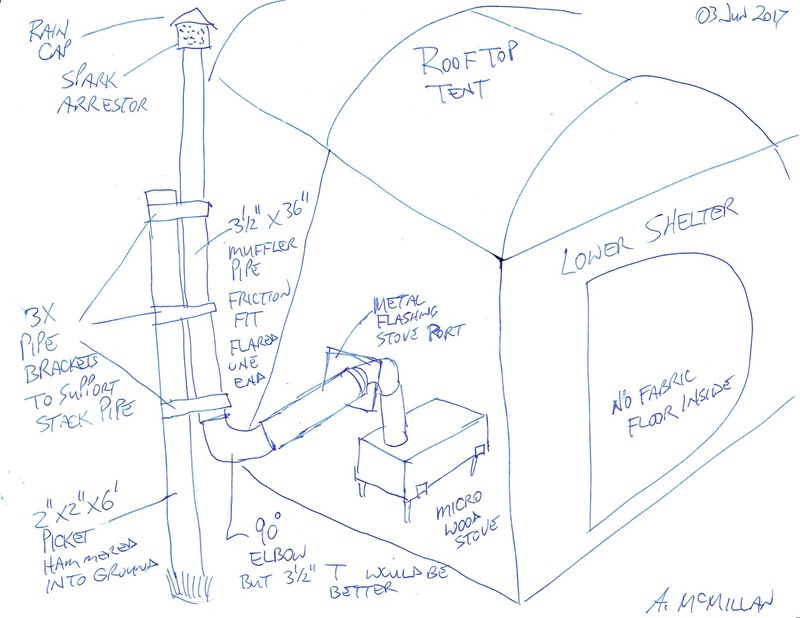 My primary purpose for wanting a basement shelter is it will provide a wind free area to house a micro-wood stove to heat the whole area. 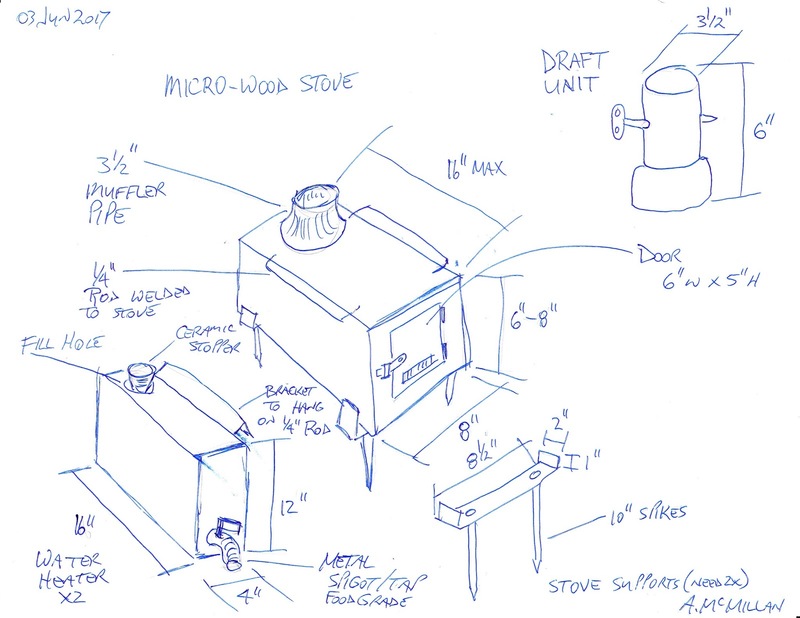 If the stove is designed right it should also be able to heat your water & cook/warm up food. 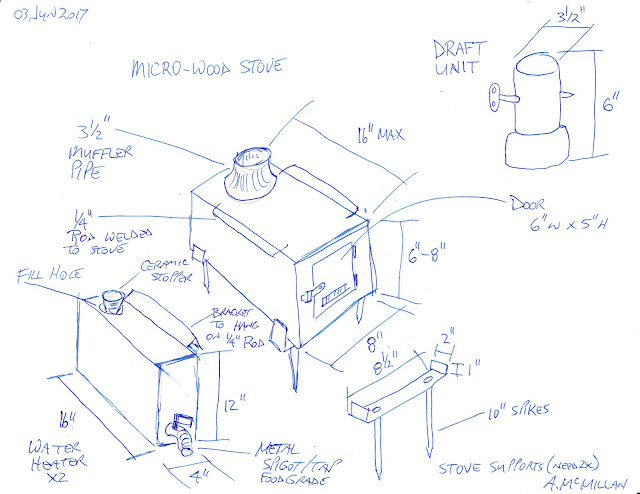 See my drawing for a possible idea of a micro-wood stove, complete with water jackets. I would also have a draft control unit built, to regulate the stove a bit. The other design idea, is to have a support stake/picket hammered into the ground to keep the chimney stack from dancing in the wind. The use of muffler/exhaust pipe should make easier to source in the event of replacing a component while on expedition. 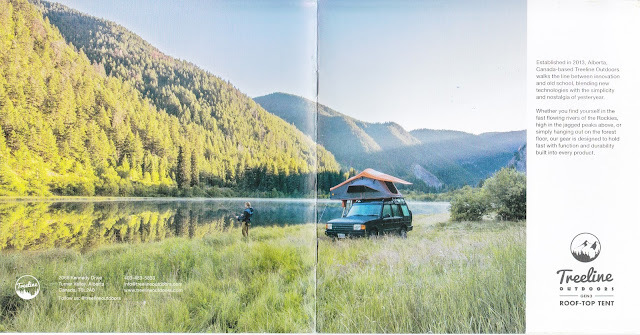 So, if you are needing a rooftop tent and you are ready to invest in one, I highly recommend supporting a local Foothills business - Treeline Outdoors. Now, you do not have to take my word on any of this. Do your own research, including a visit to Treeline Outdoors in Turner Valley, Alberta. I suggest making an appointment with Luke or staff before dropping by, it will greatly improve catching them at the showroom! And support them....which means buy stuff from them.